VLC for Mobile is a port of the free VLC media player to iPad, iPhone and iPod touch. It can play all your movies, shows and music in most formats directly without conversion. It allows file synchronization with Dropbox, GDrive, OneDrive, Box, iCloud Drive, iTunes, direct downloads and through WiFi sharing as well as streaming from SMB, FTP, UPnP/DLNA media servers and the web. VLC offers support for advanced subtitles including full SSA compatibility, multi-track audio, and playback speed control. VLC for Mobile is completely free and open source. Used to love this app, but stopped working properly. This app used to work great. I use this app regularly to watch class lectures I’ve downloaded to my laptop. I used to be able to easily upload the video files to my iCloud or airdrop them to my iPad and then just copy them to my VLC library. I think the problem may have occurred following an iPad update a few months ago, but since then I only have the option to “open” a video in VLC rather than copy it, and that doesn’t even work. The app opens and the video neither play nor appears in the library. I’ve even tried grabbing my file through the cloud services on the app as well with just as little success. I also tried deleting and re-installing the app. Nothing. The only way to get videos into the app now is to connect my iPad to the laptop and use iTunes, which I find highly inconvenient. It takes longer and I hate using iTunes. Please fix this!! Good if you want to.. This app is good For wirelessly transferring videos and pictures to your mobile device, but not if you want to transfer something to your computer!! I am a youtuber, and i use a capture card to record, in which i need a computer to at least watch the videos, but i don’t have an ACTUAL computer, all i have so far is a chromebook, in which there isn’t many editing options for, so i need to transfer my recorded videos to my phone to edit them, and i also have to upload them that way because it takes 3 million millenniums to upload, so i can’t get any more videos done and edited to upload, it would be nice to be able to transfer videos to your laptop/computer the same way as you do to your mobile device, instead of just being able to download the things you transferred TO your mobile device!!! Just need a little bit upgrade !! 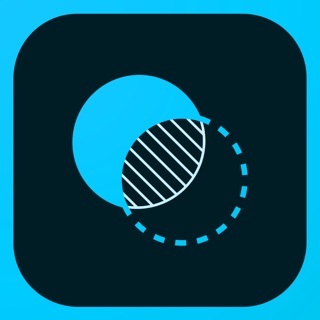 This app is very good for IOS. I only have some ideas, hopefully your team can think about it. When i use my galaxy , i install Mx Player to watch movies, it is very convenient to use. Whenever i go back, just click on play button and i can continue to watch my last movie that I haven’t finished yet. But on this app I didn’t see that, and the list after i transfer my anime movies (over 800 episodes) to my phone. The list wasn’t sort by name or number, everything mess up and very hard to find next episode. Would you please can fix it to make everything more easier. And the right side to swipe up and down to control bright, look like it didn’t work probably. I’m still rate 4 stars for your app. Wish you can fix it and make the app more greater. Best wish for your teams and have a good day! !